"Jonathan has photographed International Alert's work in three different continents. He always becomes part of the team, needs a minimum amount of support and delivers stunning images which convey a real sense of humanity." "Whether on a farm in East Africa, a Trawler in the Atlantic or a Royal Palace in London, Jonathan consistently delivers photography that makes us look good to our clients. " "Quality photography is absolutely essential to our brand. It’s who we are, what we do and the impact we have on the world. And that means working with a photographer like Jonathan, who understands what we are trying to achieve with our work." 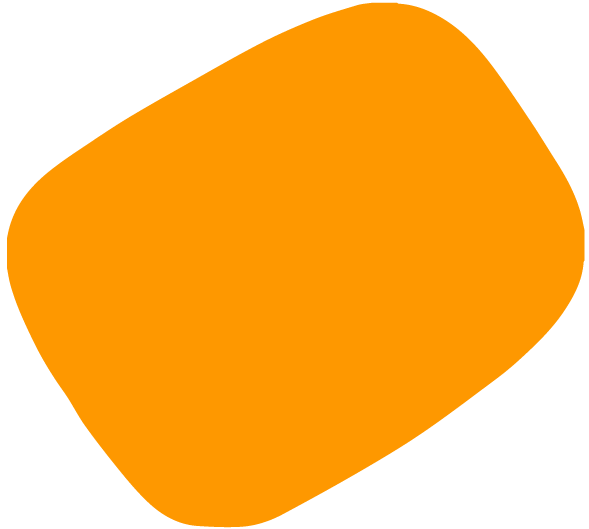 "Jonathan has been a pleasure to work with, professional, well organised, creative and always delivering to the brief. Considering the breadth of topics we have asked him to work on around the world, he has also shown himself to be resourceful and flexible. " "Jonathan has travelled to Intergen's power plants in Mexico, Australia and Europe and produces consistently high quality photography. Intergen's values are all about a high-quality work force for which we consider him part of. " "Waiting on a quote from the British Red Cross "
"We work with photographers that try to capture the essence of our work and reflect our company values in terms of design. Jonathan produces excellent results every time with creative flair. He is highly professional to work with as well as personable. " "Jonathan Banks has captured the faces of different people that vividly represent the human side of the conflict of Nagorno-Karabakh where each individual remains above all a human being with his or her right to be what they are, wherever they live, with dignity and in peace. " 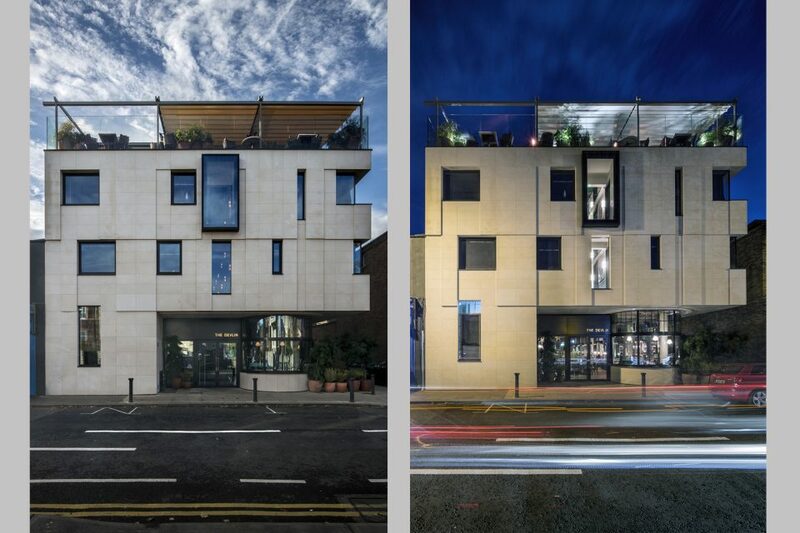 I was recently commissioned, in association with Project Pictures, to photograph the new Devlin Hotel in Dublin. 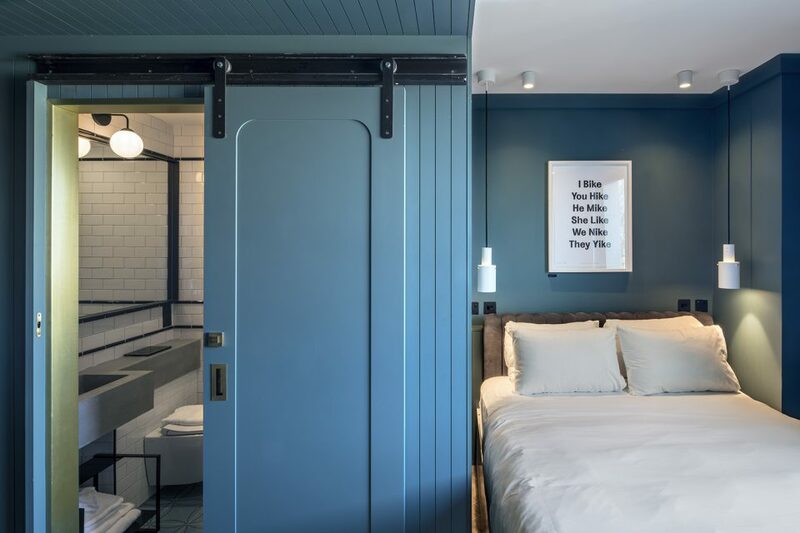 Pure Fitout are the craftsmen behind the project, and have sourced and manufactured nearly every feature of the hotel – from the 40 rooms, to the timber panelled rooftop restaurant and bar, art deco cinema, bronze-finished Americana Bar and Moroccan tiled bathrooms. 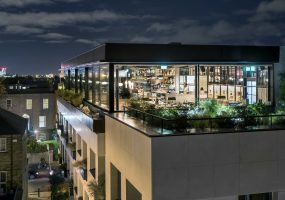 The firm collaborated with renowned designers, O’Donnell O’Neill Design Associates, and Lawrence & Long Architects to complete the first new-build project for Press Up Entertainment Group. My brief contained the usual long list of external and interior photographs but also requested that I capture the unique playful /edgy and stylish design of the space, from the “Feck Off – Don’t Disturb” signs to the art throughout. 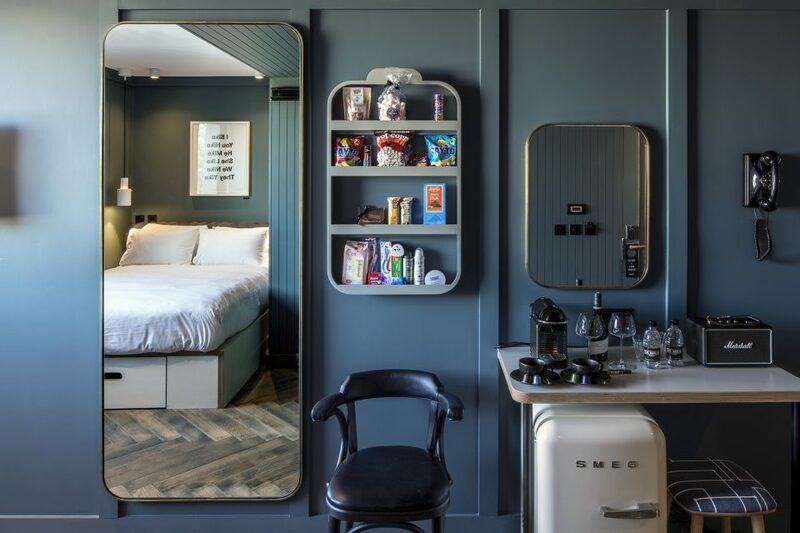 You see the Devlin Hotel is pitched as the coolest hotel in Dublin if not Ireland! It has everything great about Ireland, past present and future. After reviewing the plans / drawings and some photos taken during construction, and discussing the key design elements I was afforded a two day shoot photographing late into the night and early on the second day. 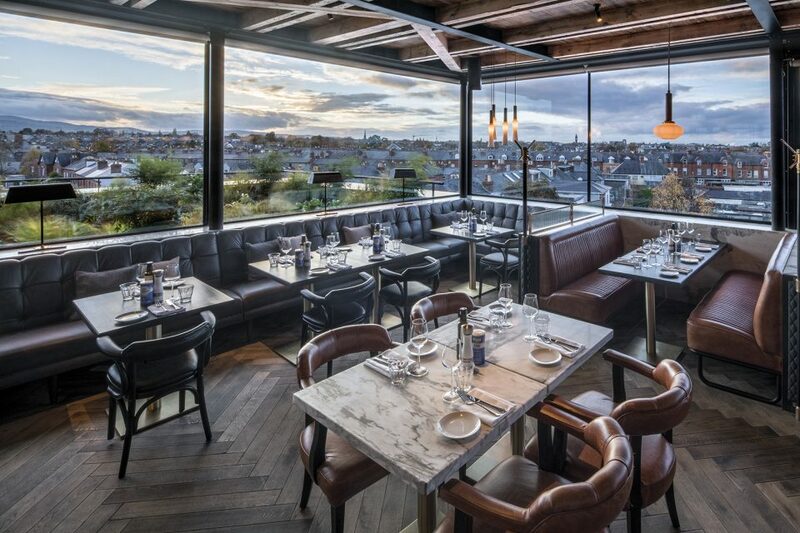 I requested a cherry picker to capture the feature roof top restaurant bar with the Dublin skyline. The Devlin enjoys a wonderful location at the centre of Ranelagh, just south of the central city. It is in the heart of Ranelagh’s bustling main street with good connections to the city centre and airport. 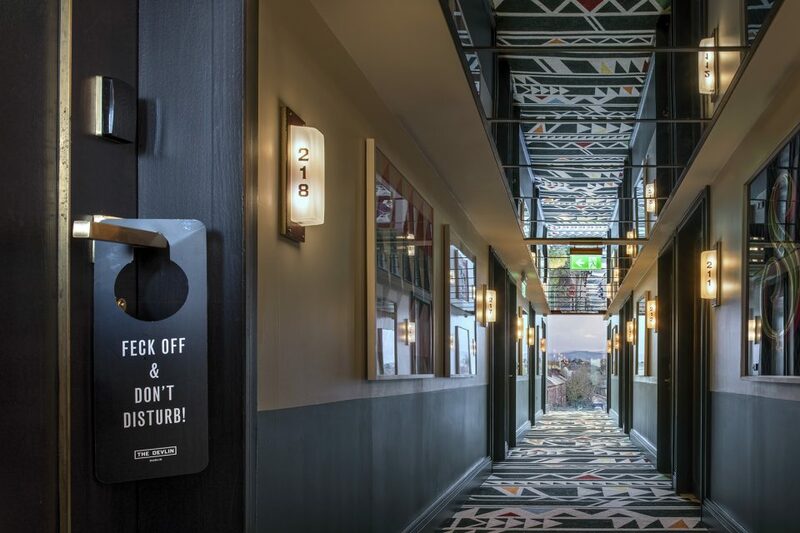 As such the hotel describes itself as a “community hub” and “more than a hotel” where you can stay as a resident or just enjoy the public spaces. Head in and relax in the café and bakery with space to meet friends or hot desk. 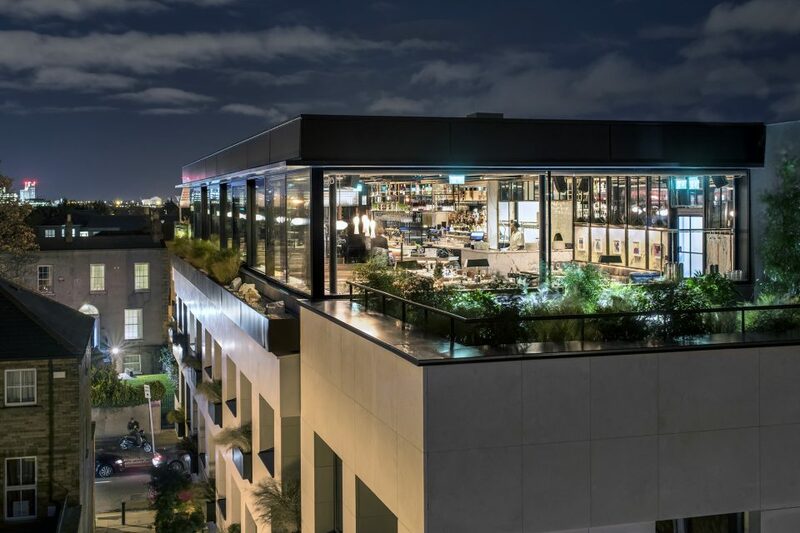 Make use of the excellent concierge service to connect with a wide range of city offerings. 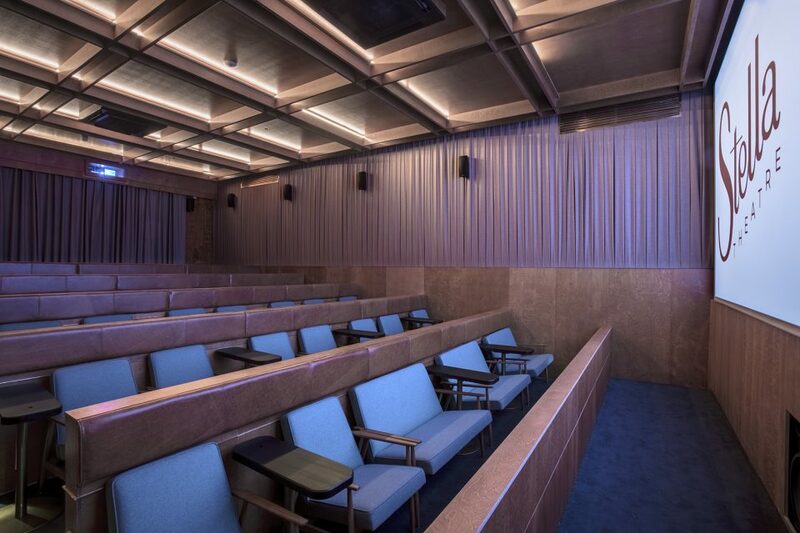 Take in a movie at the 42-seat subterranean cinema, with its 1950s-style seating, leather trim, popcorn machine, food offerings and two daily screenings. 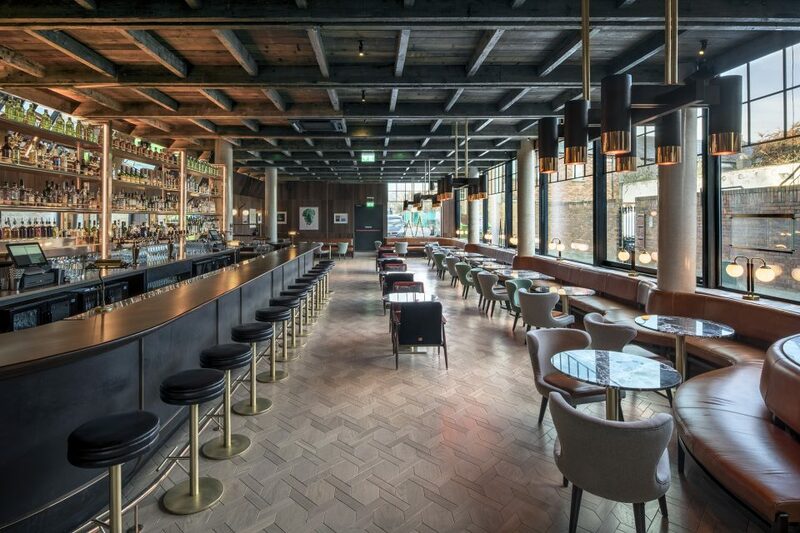 Sample the spacious, light-filled Americana Bar on the ground floor for fresh, modern cocktails, and all-day bites. 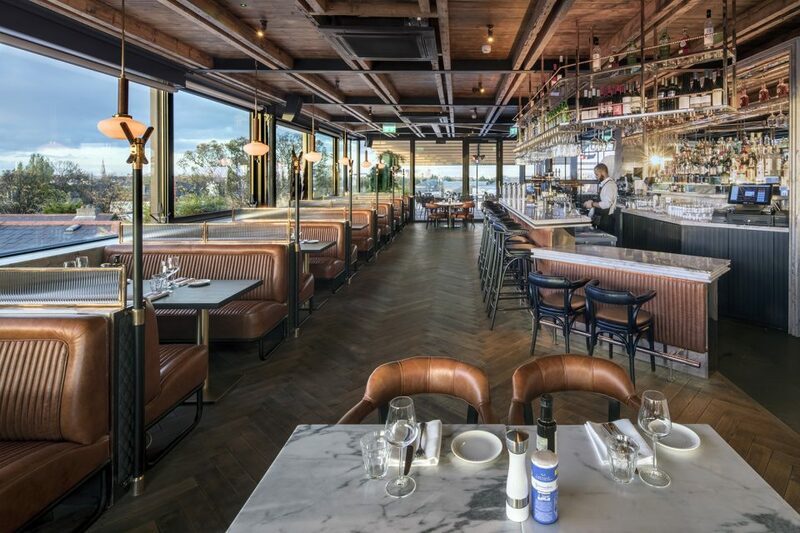 Or dine in the rooftop restaurant, “Layla’s”, with 180 degree views of Dublins skyline and a terrace for al fresco dining. Don’t get me wrong this 40-room hotel is compact so there is no spa, fitness centre, garden or even parking. The hotel rooms have “Everything that you need and nothing that you don’t”. Standard rooms are on the modest side, but smart design – in particular cunning fenestration – removes any sense of lack of space. There's comfort and a decided sense of style. The techy mod cons (Nespresso machines, Smeg fridges, and Dyson hairdryers) also impress. A range of rooms are on offer: triples include bunk beds. 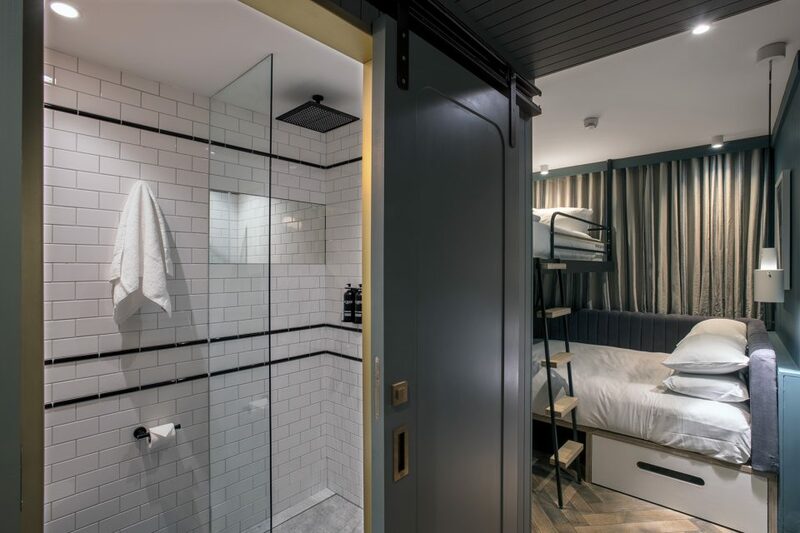 Bathrooms are sleek and high quality, with rainforest showers and Moroccan tiles. The Devlin ticks all the boxes, with excellent fittings and finishes. 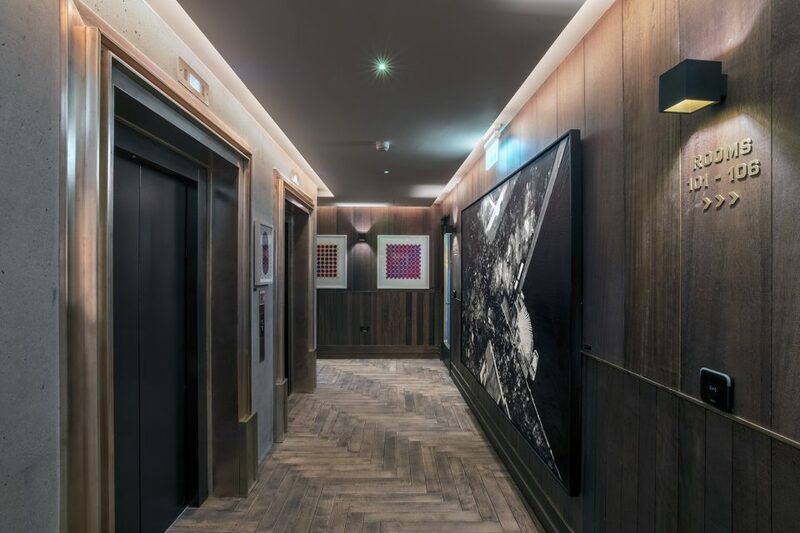 There are five specialist timbers featuring throughout the hotel, including the intricate Iroko panelling of the Americana Bar, pitch pine ceilings in Layla’s restaurant and walnut burl to the free standing case goods throughout the hotel’s interior. Over 160 pieces of original paintings and prints hang on the walls, including work by Dorothy Cross, Cian McLoughlin and Eva Rothschild, as well as emerging artists like Alan Butler, Leah Hewson and Eve O’Callaghan. 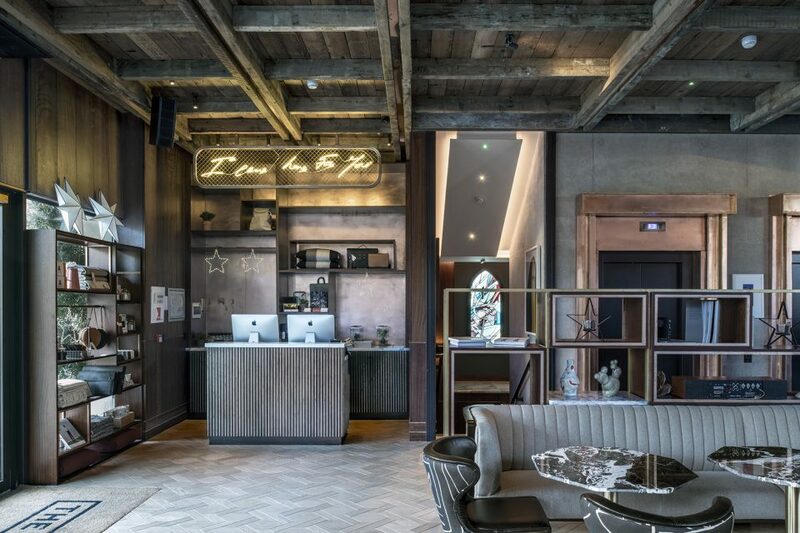 A bespoke Tracey Emin neon piece hangs above reception that says “I Came Here For You”. 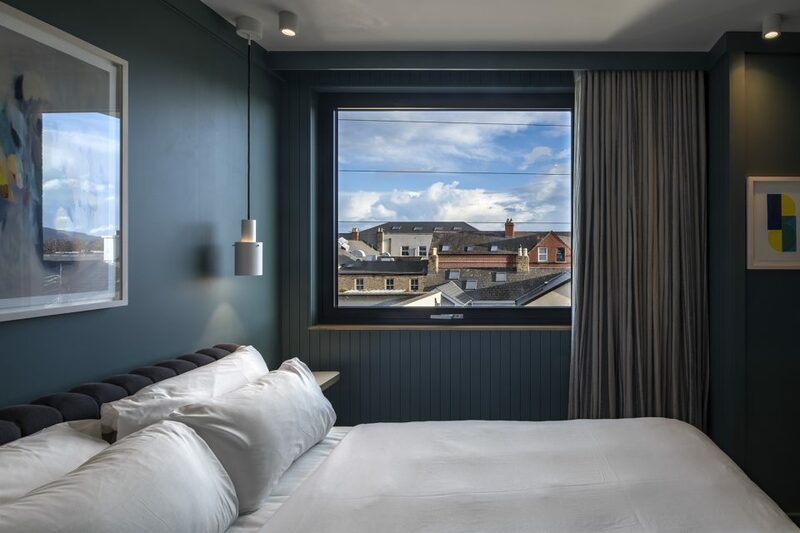 The Devlin hotel has already been shortlisted for several awards including the RLI Interior Excellence Category 2019. My photographs have also helped it to be featured in the a whole host of publications including the Daily Telegraph, Irish Times, Independent, Hotel Owner Magazine.